The EU has undemocratically intervened in Italy over a number of years, as I have documented in many articles for Spiked-online, which published my thoughts on the latest dispute over Italy’s budget on 11 November 2018. Much is at stake in the budget dispute with Brussels. The standoff between Italy’s populist coalition government and the European Union over Italy’s 2019 budget might appear like a dispute over the interpretation of tedious Eurozone rules. But the fate of Italian democracy and Italian people’s livelihoods are at stake. Italy’s 2019 budget was rejected by the European Commission (EC) in late October. The EC disapproves of the coalition government’s plans to run a deficit of 2.4 per cent of GDP, because government debt is running at 132 per cent of GDP. It has taken the unprecedented step of threatening to fine Italy for failing to set a budget which will move towards debt reduction. A fine could rise to as much as 0.5 per cent of GDP. On 31 October, Italy’s 2019 budget arrived in parliament in defiance of the European Commission (EC). This was only a day after Italy’s Ministry of Economy and Finance received a letter from the EC requesting justification for its budget proposals by 13 November. Italy stands accused of breaching the EU Stability and Growth Pact (SGP). Other countries have previously broken these rules without facing such sanctions, including France and Germany. So why is Italy being singled out? The EU now claims its main concern is the size of the Italian government’s debt, which stands at 132 per cent of GDP, rather than the EU limit of 60 per cent. Combined public and private debt is lower in Italy than in France, Spain or Britain, but SGP rules only apply to public government debt – that is, debt produced by the decisions of elected representatives. Running a budget deficit in the short term could increase growth and reduce government debt in the long term. And Italy’s budget plan to run a deficit of 2.4 per cent of GDP is actually within the SGP limit of three per cent deficit of GDP. But last week the EC announced that it had revised down its growth forecasts for Italy and increased its budget deficit projections to 2.9 per cent of GDP for 2019 and 3.1 per cent in 2020. In other words, the EC changed its forecasts so as to push Italy above the three per cent limit, in an attempt to force the government to change its budget. The government has refused, and the budget has been improved by parliament. This dispute lays bare the anti-democratic nature of the European Union. The budget is in line with the promises the coalition partners, the Five Star Movement and the League, made to their electorates in last year’s election. Five Star received a high proportion of votes in southern Italy, and the new budget contains a bonus for hiring in the poorer south. The League received most of its votes among 50- to 64-year-olds, and pushed for a reduction in retirement ages in the new budget. It also made many anti-immigrant pledges, which is why they have proposed a €400million cut to the 2019 budget for migrants. The budget also includes cuts to VAT and income tax; earmarks €4.2 billion over a three-year period for civil-service hiring; and creates new benefits for the poor and unemployed. All of this is in line with what the government parties pledged to voters. This budget will do little to tackle Italy’s economic problems. Overall unemployment has risen to 10.1 per cent, and youth unemployment to 31.6 per cent. None of the government’s policies will bring those numbers down. They will reduce economic hardship for some Italians, but the budget lacks investment in research and development. What’s more, while there will be some investment for schools and roads, there is not enough spending on infrastructure to give a boost to GDP. Indeed, the Five Star Movement has consistently campaigned against large infrastructure projects, like the Turin-Lyon high-speed train link, which the government officially suspended last week. But whatever we might think of this budget, the fact remains that it reflects the promises made by Five Star and the League during the election. The government has a right to keep its promises. It is this right that the EU seeks to deny to democratically elected governments. Italy has refused to change the budget and its reply to the EC’s letter is unlikely to be considered satisfactory. There will be some rocky times ahead. SGP rules on government debt and spending are designed to enforce austerity, as Greece found out. Will the EU enforce further austerity on Italy, or will the Italian government realise that having economic and political independence requires leaving the EU? This question will become more pressing. The rising spread between Italian and German 10-year bond yields is a threat to some Italian banks and other creditors, especially as the European Central Bank is reducing its bond purchases. Consumers and companies are suffering from rising borrowing costs, which limit the impact of budgetary expansion. These costs also make government debt more expensive. Domestic demand is weak and exports – given the current strength of the Euro – are unlikely to compensate. There is the potential for Italy to become the focus of a new financial crisis. But while the new budget will not boost Italy’s dire economy, the Italian government is right to defend the principle that its role is to respond to voters, rather than the EU. 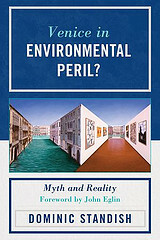 Dominic Standish is the author of Venice in Environmental Peril? Myth and Reality.